Is Radiation The Best Option? The most controversial issue in health-care today. We are determined to provide you with the most scientific research there is regarding cancer treatment effectiveness & safety. While we are not qualified to diagnose or treat cancer we will bring you the latest research regarding cancer treatments so you can make the decision that is right for you. What you are about to read can alter the course of your life from here forward. We recommend you share this page with as many people as you can. 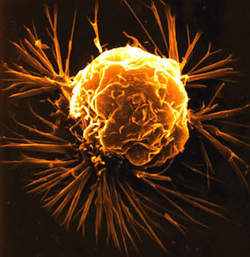 Much of the research here is done by Oncologists, Physicians and Scientists. Cancer is considered a death sentence by many. Yet how much do we really know about cancer? What lies below will detail the therapies used today and why we feel they need to cease the treatments and begin practicing other modalities that are proven far more effective & safe! DISCLAIMER: This page will be updated regularly as we are always researching. If you have research you wish us to put here fill-in the form on the left. Even though we primarily have data concerning the side effects of these therapies it does not mean we oppose data that supports radiation. We want to inform everyone at large of questions and observations that are of a significant concern regarding cancer protocols, therapies and reasons for use. We must review the data. We don't disagree that radiation kills cancer. What we want others to be aware of is it often kills you too. This practice of radiotherapy to kill cancer should be called malpractice! Cancer Cured in Canada But Big Pharma Says 'NO WAY'! * CANCER CURE BANNED by Government to enrich drug companies! Radiation-induced sarcomas after radiotherapy for breast carcinoma: a large-scale single-institution review. Functional promoter rs2868371 variant of HSPB1 associates with radiation-induced esophageal toxicity in patients with non-small-cell . . .
Surgical management of radiation-induced temporal lobe necrosis in patients with nasopharyngeal carcinoma: Report of 14 cases. Management of cancer therapy-induced oral mucositis. Predictive factors of radiation-induced skin toxicity in breast cancer patients. 100 years of observation on British radiologists: mortality from cancer and other causes 1897-1997. The 15-Country Collaborative Study of Cancer Risk among Radiation Workers in the Nuclear Industry: estimates of radiation-related cancer risks. Increased risk of stroke in young head and neck cancer patients treated with radiotherapy or chemotherapy. Screening Hodgkin lymphoma survivors for radiotherapy induced cardiovascular disease. Radiotherapy-induced nausea and vomiting (RINV): MASCC/ESMO guideline for antiemetics in radiotherapy: update 2009. Pro-inflammatory cytokines play a key role in the development of radiotherapy-induced gastrointestinal mucositis. Total vaginal necrosis: a representative example of underreporting severe late toxic reaction after concomitant chemoradiation for cervical cancer. Radiotherapy-induced mitral stenosis: a three-dimensional perspective. Spontaneous and radiation-induced chromosomal instability and persistence of chromosome aberrations after radiotherapy in lymphocytes . . .
Changes in glucose metabolism during and after radiotherapy in non-small cell lung cancer. Radiotherapy-induced decreases in substance P levels may potentiate melanoma growth. Investigating the embryo/larval toxic and genotoxic effects of γ irradiation on zebrafish eggs. [DNA damage in lymphocytes after irradiation with 211At and 188Re].